The clear winner for precision eye makeup. Leave the magnifying mirror behind. Liner, lashes and shadow are so flippin' easy with these makeup cheaters featuring an innovative design that allows you to flip the lens over one eye at a time. Apply makeup to eye with no lens in front of it. Alternate the lens to the eye which has already been made up and begin applying makeup to the other eye. This California company is always keeping an eye out for the latest trends in boutique eyewear from readers to sunglasses, cases and accessories. 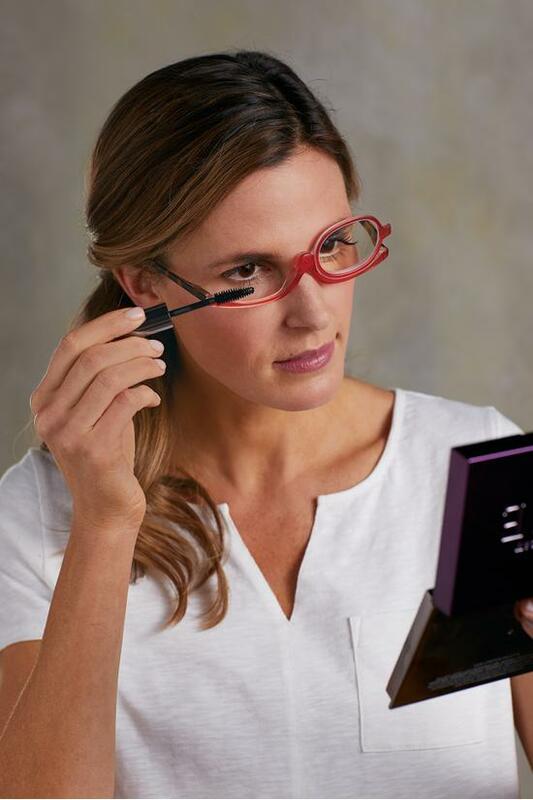 Their innovative Eye Makeup Readers make putting on makeup a breeze for that flawless look that will have you reflecting your most confident, beautiful self.